CUCET 2019 is conducted by eleven central universities jointly. The entrance test is conducted for admission to UG, PG and research programmes. CUCET 2019 will be held by University of Haryana, Jammu, Kerala, Punjab, Kashmir, Rajasthan, Jharkhand, Karnataka, and Tamil Nadu. All candidates who are going to take the CUCET 2019 have to first check the eligibility criteria before their registration which commenced from 13th March, 2019. After registration, applicants have to fill the application form before the last date which is 20th April, 2019. CUCET is a national level examination and will be conducted on 25th and 26th May, 2019. CUCET stands for Central Universities Common Entrance Test. The entrance exam is conducted for candidates seeking admission in different courses offered in these eleven universities. 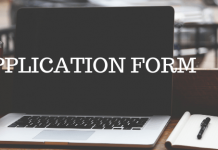 Candidates can check CUCET 2019 eligibility, application form, admit card, exam pattern, etc. in this article. The last date to submit the application form has been extended from 13th April 2019 to 20th April 2019. The link of application modification will be available from 21st April 2019 (10:00 AM) to 23rd April 2019 (10:00 AM). Apply for CUCET 2019 here. Candidates can check the tentative dates of CUCET 2019 events given in the table below. To appear in the Central universities common entrance test, it is mandatory for all candidates to fill and submit the CUCET 2019 application form. The application form is available from 13th March 2019. It will be available online on the official website as well as here. Applicants must fill the form with correct personal and academic details. Candidates have to upload the scanned images of their photograph and signature a well. Without the payment of CUCET 2019 application fee, the application form will be incomplete. Aspirants can pay the application fee online by credit card or debit card. One can also pay the fee offline by downloading the e-challan and depositing the fee at any SBI bank branch. The Person with Disability (PwD) is not required to paying any kind of application fee. The last date to fill the application form is 20th April 2019. In order to start preparing for the CUCET, candidates must make sure to check the exam pattern. The CUCET 2019 exam pattern contains all the details regarding the exam and question paper like mode, duration, marking scheme, number of questions, etc. Know the CUCET exam pattern listed below. 6. Marking Scheme 1 Mark will be awarded for the correct answer. 7. Negative Marking 0.25 will be deducted for the wrong answer. 9. Sections Part A: This section contains topics from English language, general awareness, mathematical aptitude, and analytical skills. Part B: This part has been divided into three sections and consists of total 75 MCQs from the domain knowledge. In order to appear and prepare well for the common entrance test, candidates must check the officially released CUCET syllabus 2019. The syllabus of CUCET 2019 will contain important topics from Physics, chemistry, and mathematics for B. Tech courses. Since CUCET is held for different courses, the syllabus will also vary. CUCET 2019 Admit card will be released on 10th May, 2019. Only those candidates who have correctly filled and submitted the application form will be issued the admit card. Candidates will be able to download the admit card online. Appearing students must carry their admit card to the examination hall. CUCET Admit card 2019 will contain important details like examination date and time, the address of the examination center, roll number and instruction to be followed on the examination day. Without the hall ticket, no candidate will be allowed to take the entrance test. The official CUCET 2019 answer key be published online in the 1st week of June after the exam has been concluded. The answer key will carry correct answer options to questions asked in the examination. Candidates can download the answer key and use it to cross- check all the answers. They can also calculate the probable score with the marking scheme of the exam. In case any candidate feels unsatisfied with the answer key, he/she can put up grievances against the same. The final answer key will be uploaded after looking into the raised objections and taking necessary action. The result of CUCET 2019 will be declared by the official authority after the examination is over. Candidates can view and download the CUCET results online on 21st June 2019. The result will contain the overall and subject-wise marks obtained in the entrance examination. Candidates can analyze their performance through CUCET 2019 results. The cut-off is the minimum qualifying marks that the candidate must obtain in order to be eligible for admission to a particular university. CUCET 2019 cut off will be released in June. Each participating University will prepare its own cut off and candidates who meet the cut off will be able to participate in the further admission process. There is no common CUCET 2019 counselling. The counselling procedure is held separately by each university. Each individual university will announce their own admission list and guidelines. Candidates will be required to visit the official website of each of these participating universities listed below to know the procedure. Seat allotment will be done on the basis of scores obtained by the candidate in CUCET 2019 and fulfilling the specified eligibility criteria for each university. Candidates must report for counselling and document verification following which they must confirm their admission by paying the fees. Candidates can check the list of all the eleven participating Universities given below.